You’ve skimmed through numerous stacks of applicant resumes, you’ve profiled each candidate after tons of quick interviews, and now you’ve finally found the one – the dream candidate who has everything that you have looked for in an employee. So what happens next? Well, first off, you have to have him sign a Job Offer. 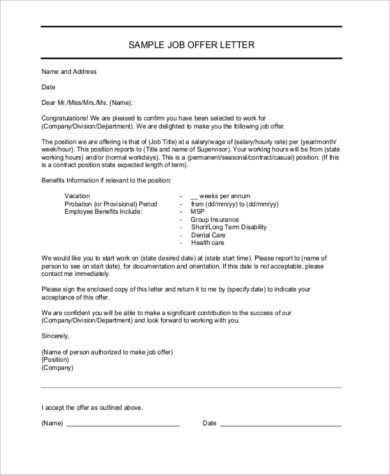 A Job Offer is a formal written document sent by the employer to the candidate who was appointed for the position. 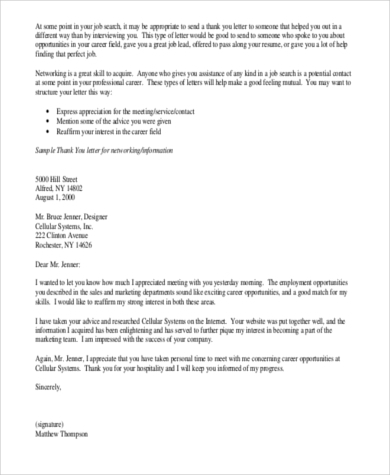 Job Offer Letters start the employment on a positive note and indicate the compensation package, job details, and terms of employment. 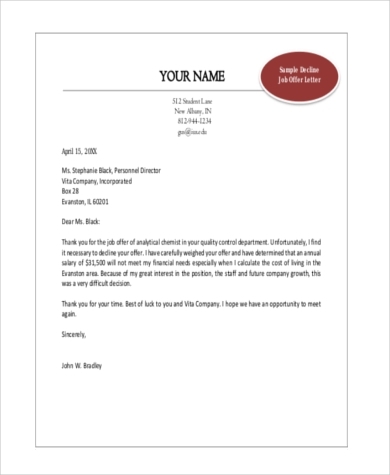 Our Sample Letters are the perfect templates that you can use for your Job Offer Letters to save you time and lessen the hassle of constructing one. 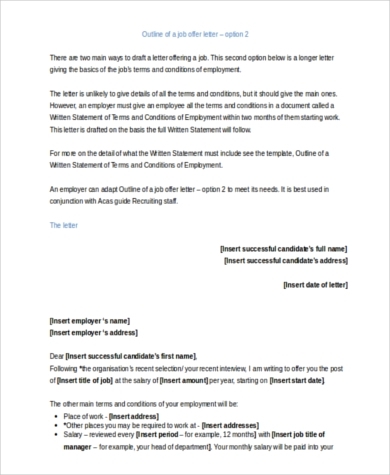 Job Offer Letters and Employment Contracts do not have much of a difference in their content structure. 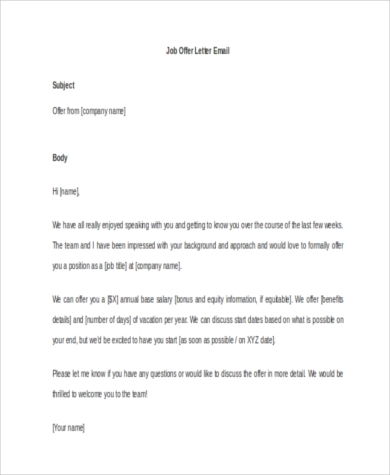 However, Job Offer Letters are usually very brief and informal. An Employment Contract, on the other hand, contains a more in-depth description of an employee’s responsibilities and obligations and states the terms and conditions he must uphold to continue his employment. 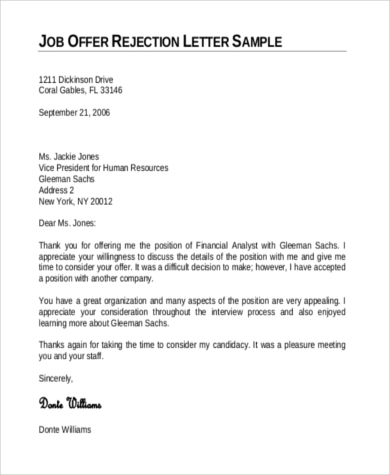 Job Offer Letters typically indicates the key responsibilities of an employee that are relative to his position. They also include the employee’s job position, his start date, and the amount of compensation. A Job Offer also briefly describes the details about an employee’s basic benefit package. Benefits such as disability, medical, dental, profit-sharing, vacation leaves, and sick leaves should be explicitly stated in a Job Offer to give employees a heads-up of any paycheck deductions and help them consider costs. Dates and times also have to be specifically indicated in a Job Offer. 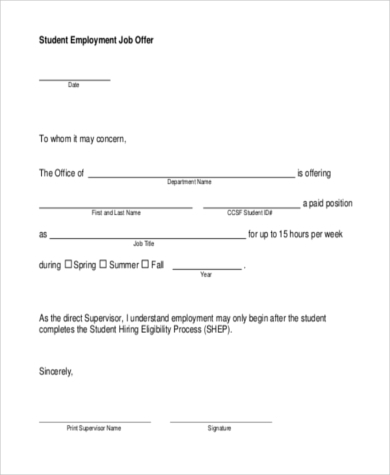 Details such as when the offer should be returned, the length of the probationary period, and the date or time that the employee was hired should also be indicated. As with other contracts, a Job Offer needs the name and the signature of the person to whom it was offered to. Signing a Job Offer indicates that an employee has formally accepted the position being offered to him along with the terms and conditions outlined and the amount of compensation offered. Accepting a Job Offer may require ample time to be considered. An employee has the option to accept it on the spot, to take a few days to think about accepting the option or not, or to negotiate the employment terms and conditions with the employer. 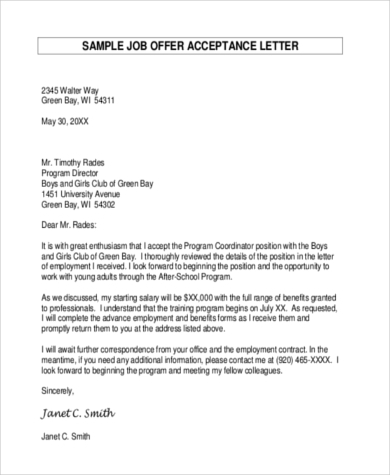 You may also use our Sample Job Acceptance Letter template to forward to your employer to indicate that you accept the offer for the position. Some jobs and their accompanying terms just do not sit well for everyone. 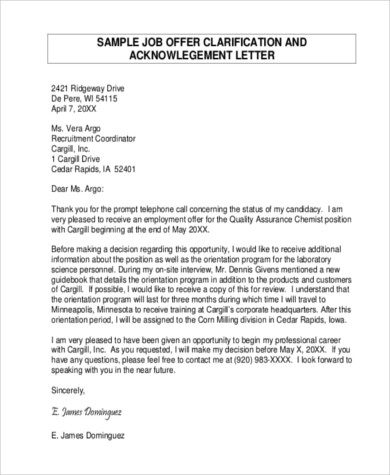 In cases like these, a candidate can always refuse a Job Offer. However, remember to always refuse an offer politely and professionally. It is always important that you establish professionalism even if you will not be connected with an organization – bridges should not be burned just yet. It’s a small world; you never know when you’ll meet them again.